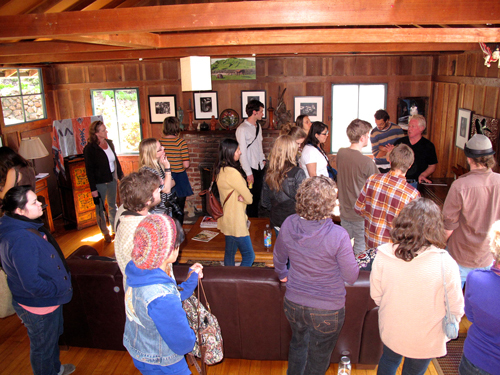 Sandi Frank, Photography instructor at Cabrillo College brought her large format photo class down to visit today. Kim had a great time showing them the house and darkroom. He showed some prints and told some stories. They were a lively group with lots of questions which always makes Kim happy. Kim Weston showing Brett Weston's sculpture at house.